Deborah Mastin is one of Miami’s most experienced mediators and arbitrators in construction, real estate, government procurement, and energy. She is a Fellow of the American College of Construction Lawyers, the College of Commercial Arbitrators, the Chartered Institute of Arbitrators, and the Dispute Board Federation. 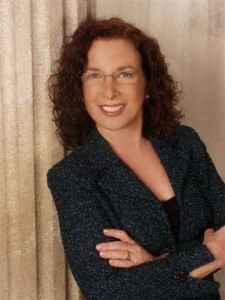 She is a Florida Bar Board Certified Construction Lawyer and a Florida Supreme Court certified circuit court mediator. Mediator and arbitrator since 1996. Currently devotes 95% of time to dispute resolution activities involving complex and multi-party domestic and international disputes. As a former Assistant County Attorney for Miami-Dade County and Broward County, for 35 years Deborah Mastin represented public owners in connection with development, procurement, design, construction and leasing of infrastructure projects, including County Hall, courthouses, museums, performing arts centers, stadiums, hotel, retail and restaurants, hospitals, marinas, electrical power co-generation and chiller plants, roads, transit and light rail facilities, fuel, power, utility and communications distribution projects, fuel storage and distribution facilities, environmental remediation of hazardous and contaminated material, $7 billion dollar expansion at Miami International Airport and $2 billion expansion at Ft. Lauderdale-Hollywood International Airport. Drafted manuscript contracts, administrative specifications, dispute board specifications, and procurement solicitation packages, assisted the Owner’s staff with negotiations and claims reviews, participated as the Owner’s advocate in mediations and in arbitrations, and litigated claims asserted in state and federal courts. Admitted to practice before the Unites States Supreme Court, the United States Court of Appeals for the 11th Circuit, the United States Southern District Court of Florida, the United States Bankruptcy Court for the Southern District of Florida, and State courts of Florida and Massachusetts.